The first flavors I pick up are vinegar and salt. The coriander comes in soon after, followed by the garlic. 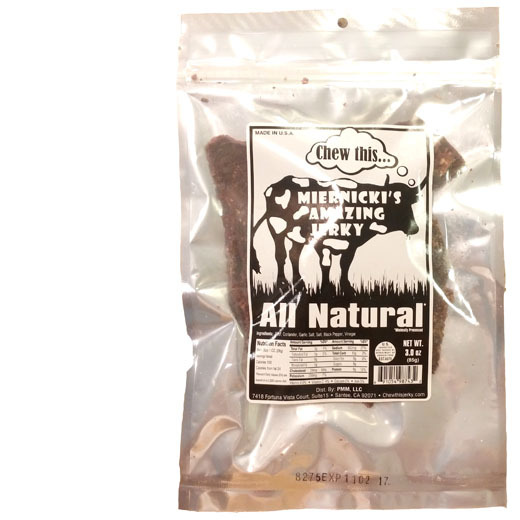 The chewing brings on a bit more vinegar, touches of natural meat flavor. Considering this jerky is made with no sweeteners and no soy sauce, it's still very flavorful. 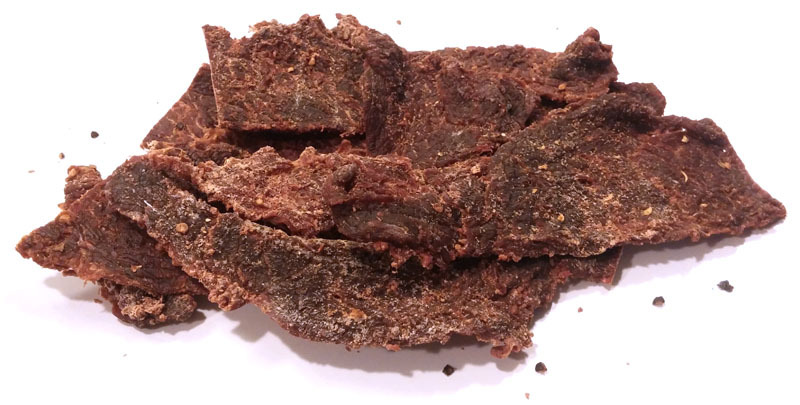 The word, "amazing" in the name perhaps also rings true because the flavor is quite unlike other jerky brands. Where most brands go with a savory blend of soy sauce and/or worcestershire, this goes with a tangy, pungent, blend of vinegar and coriander. Otherwise, the primary taste profile is that of vinegar and salt, much like the flavor you'd find in a bag of vinegar and salt potato chips. Except this adds a punch of coriander and garlic to boost things up. There's also a noticeable vinegar aroma too. The level of saltiness feels strong. 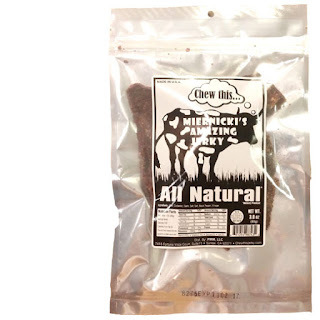 The meat consistency is dry, chewy, but overall still easy to eat. Some pieces are sliced a little more thick and require some additional effort. I found some stringiness, and some marbling, but overall meaty. Once chewed down soft, it feels steak-like. This jerky from Miernicki's is quite unusual for its vinegar-forward profile, in quite contrast to most brands that rely on a savory sauce marinade. It definitely livens up the senses with its tangy chewing. In some regards, this tastes similar to biltong, but a little more heavy on the salt and vinegar. 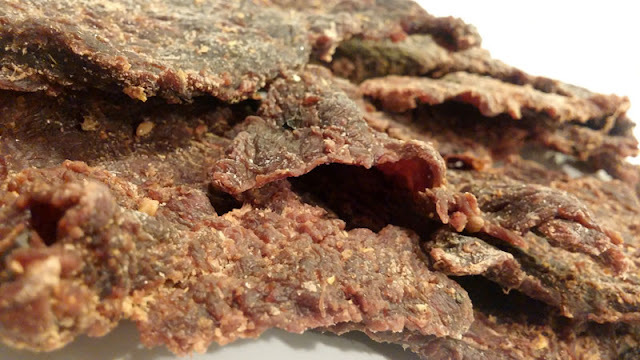 Overall, it's a jerky that definitely captures a unique audience who craves the salt & vinegar combination, as well as those who want a sugar-free meat snack. You'll definitely want a beverage handy to help wash that saltiness down.